This selection of content tools shows you don’t have to stick to writing endless blog posts to keep the visitors coming back. With these tools, you’ll never be stuck for ideas thinking of content or creating it. If you are marketing online, you need content. It really is that simple. You want engaging, interesting and helpful content to share with your online audience via your website and social media channels. The thing is, it can be difficult coming up with ideas for regular content and it can be very time-consuming, dragging you away from your business. The purpose of your content is to engage, entertain and inform your audience, hopefully attracting them to you and your brand. You also need to make your content as shareable as possible, as the more it’s shared, the larger your audience becomes. You need creative ideas to produce a variety of different content types fast, but don’t worry, this post is going to help you. It’s really simple. Memes have become the superstars of the social media scene as they are staggeringly popular and very, very sharable. In fact we’ve all shared a meme or two in our time and that’s the beauty of these small, but powerful, pieces of content. 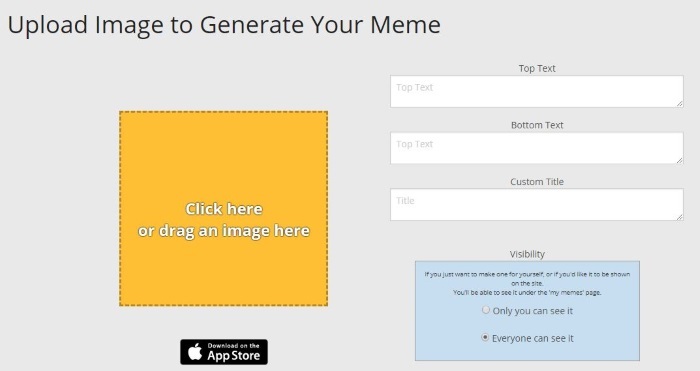 With Memegenerator you can create memes from the included templates, or start from scratch and make your own right within the software. They take seconds and can really help lift your social media marketing. Start saving the memes you like on social media as ideas for your own, then you can quickly knock up half a dozen super cool little memes of your very own. Everyone knows Reddit. It’s a hub of opinion and is popular around the world for discussing the latest hot topics. It can help you as a blogger if you get involved in the groups and discussions regarding your business and industry. You can test ideas out and get feedback regarding your content, along with it being a fountain of knowledge regarding people’s attitudes and needs in virtually any subject. Podcasting is the bomb! It’s overlooked by many online businesses, which is a shame as it can be a very powerful marketing tool. You don’t have to be a famous author or website owner to podcast, anyone can do it. It’s a great way to get across large chunks of info to an audience large or small, near or far. If you’re an accountant for instance, you could podcast about the budget, tax changes or tax breaks. A hairdresser? Why not create a podcast on the best three nutrients for healthy hair, or how to make your own super effective moisturiser? Problem is, you usually need a certain level of equipment to record podcasts effectively, but with Spreaker’s online tool, you’ll be creating pro level podcasts in just minutes. If you’re going to write blog posts and various other content, you need to make sure you proofread them and that’s where Grammarly comes in. It’s one of the best spelling and grammar checkers available. It can spot errors other similar apps can’t and will help you optimize your text, to make it more readable. A simple but very useful content tool, Grammarly can help you make sure your content is tip top. 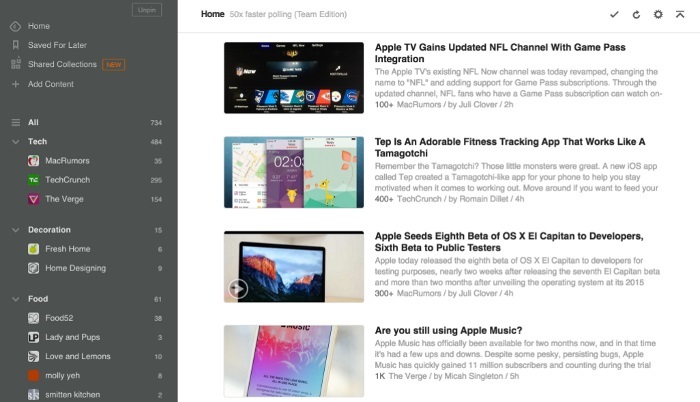 Feedly makes it easy to stay up to date with all the news in your industry and interests. You simply create your own feed to follow authority websites, blogs and YouTube channels in your niche. You can also set up keyword alerts for your own content such as blog post, article, or name mentions, so you can see if it’s being shared and who’s talking about you. Video is obviously some of the most viewed content online, it’s has incredible viral potential and you can easily promote your business with it. Things like ‘How To’ tutorial videos are especially popular, as people can learn on the go. They are not hard to create with the right tools and Camtasia is one of the most useful for video creation. It’s screen recording software at its best and can have a ton of uses in your marketing. Record your own short ads, special offer videos and tutorials regarding your business and you’ll have a ton of fast content to attract targeted visitors to your website. There are many effects included and you can add text, zoom in or highlight and save your completed video or upload it to Youtube. 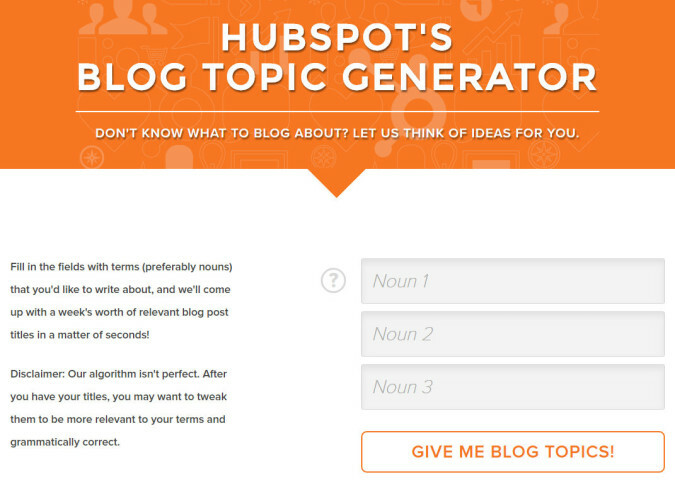 Another really simple yet useful tool, this Blog Topic Generator does just that. It can be difficult coming up with ideas for content, so any help is always useful. This tool can help and all you have to do is enter up to 3 keywords and it works its magic to come up with a long list of ideas you can use, or adapt to suit your specific content piece. You can also keep your eyes peeled for what your competitors and people in other industries are doing with their content. You’ll get a ton of ideas you can recycle and use. Yes a simple Thesaurus and it’s free. Always useful when you’re writing content and stuck for a certain word. Nice clean interface, a doddle to use and no ads as its crowd-sourced. Go bookmark Power Thesaurus right now! Getting the top people in your industry or niche to pay attention to you can be difficult, but Buzzstream can help you. You get access to stuff like contact information and social media accounts of the most influential players in various industries, so you get the chance to reach out and try to establish any collaboration ideas with them and promote your business. 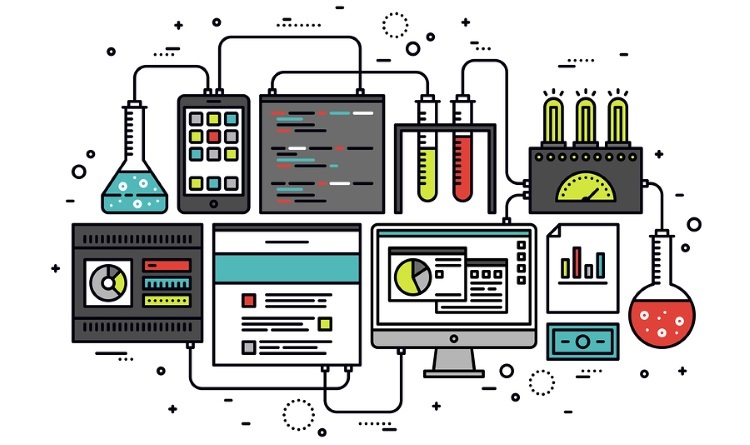 Infographics and videos are two of the most popular kinds of content you can produce. They make complex info or long messages easy to consume and they are always sharable, which makes them viral. 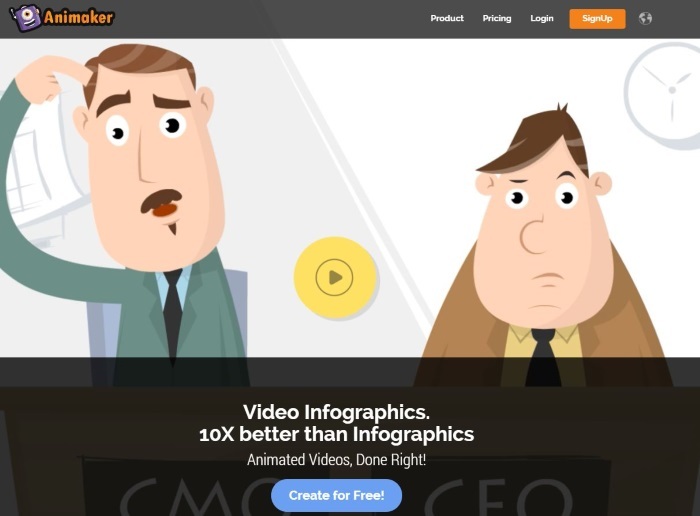 With Infographic Video Maker you can now easily create stunning animated infographics quickly and easily. You can make multiple kinds, add them to your website and share them on social media, to attract new targeted visitors to your business. It’s not easy coming up with content ideas and actually creating it, week after week. However, you know you need it, as the web is content based, so I hope you will find the tools I’ve just shown you useful. Some of the tools are completely free, some you’ll have to pay for but all of them are high quality and will do an excellent job for you. Now off you go and start putting them to use for your next pieces of amazing content. You need people to see your content once it’s created and there’s no faster way to get potential customers flocking to your website than with online ads the Adzooma way. It’s fast, simple and very cost effective. Click here to get started right now.